For those of you who don't know us and have found this website randomly: "Welcome, I'm sure you're equally as awesome and shout out to Google for bringing you here". As a brief background, New Age Active is like the fitness baby of me (Megan) & Sam. We've both always been obsessed with exercise, challenging ourselves and eating awesome food (I mean the food love here is pretty much 99% of the whole thing!) We began training together a few years back and since then a fair few people showed interest in wanting to train with us. I mean, they must not of seen us on Deadlift day with our 'I think I'm going to die of exhaustion faces' on. Either way we were thrilled! A year or so ago we decided that we should do something abut it. 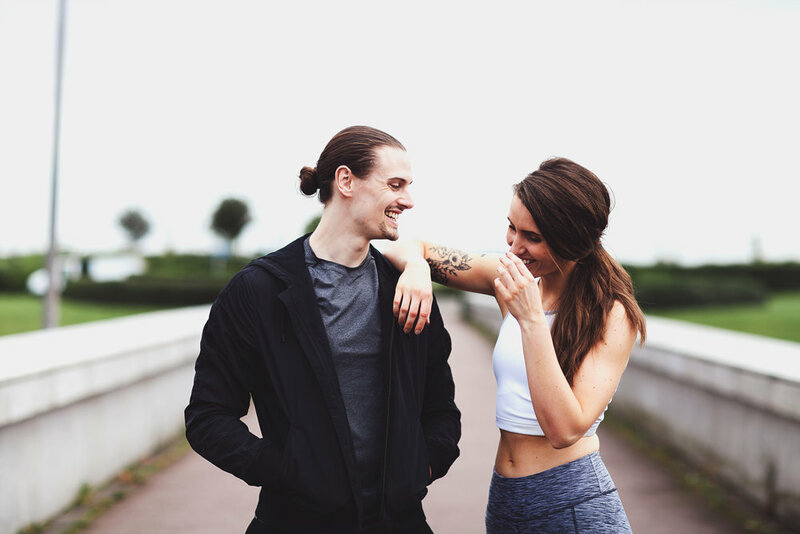 Sam had been qualified as a Personal Trainer and had his Degree in Sports Science for over 5 years, I've had gym experience for about the same time and got my Personal Trainers Certificate; so we thought "Why the hell not?" Let's do something we love and get others out there to love it just as much as we do. Let's spread some awesome positively, slap away all those insecurities and just show some real damn appreciation for the bodies we have. Especially the bodies we'll all work hard to get, which I promise will make you proud and happy forever. Since then we've had an epic journey, we've made some lasting friends all over the world and now we finally have our own website. I say our but what I really mean is New Age Active has it's own website, and guess what.... Everyone who trains with us / interacts with us / spreads the same positivity as us is part of New Age Active too. Because really; fitness is a movement, a lifestyle change, it's not something you can pick up and drop off every now and again. It's important stuff, and we're here to give you that support and guidance to make that lasting change. And damn are we excited about it.